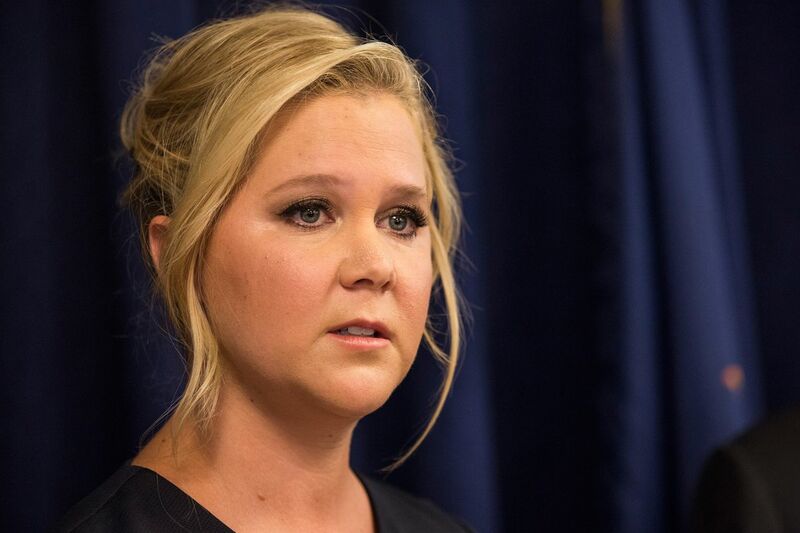 Amy Schumer used to be one of the “funniest” women in Hollywood. When her Comedy Central show Inside Amy Schumer aired years ago and it was a hit but then she became one of Trump’s biggest critics. That’s why her career has tumbled since. And now the washed up comedian planned this one move against Brett Kavanaugh that will sicken you. Amy Schumer is one of the most talentless people in all of Hollywood. To prove it, you can point to her film career as an example. Her film debut, Trainwreck, was a success but studios headlined her in other movies since then and they all bombed at the box-office. Schumer’s also hypercritical of President Trump in her stand-up. It’s no surprise. All Hollywood elitists are. Schumer was booed off stage at a stand-up show in Tampa Bay Florida for her anti-Trump jokes. That’s why it’s no surprise that she’s planning a Brett Kavanaugh protest on October 4th just outside the Barrett Prettyman Courthouse. The event was called The Bravery is Contagious. Other anti-Kavanaugh celebrities like Michael Stipe and Lena Dunham joined her. Other actors that backed the event include Maggie Gyllenhaal, Peter Sarsgaard, Erykah Badu and Esperanza Spalding. The website was made by the Party Majority PAC, which also encouraged citizens to call their senators to express their disdain for Kavanaugh. They listed office numbers of Senators Susan Collins, Jeff Flake, Lisa Murkowski and Joe Manchin III. The reason why they did this was because the Republicans hold a 51-49 majority in the Senate. Those Senators allegedly represent the key votes in the Kavanaugh vote. Meanwhile, Trump called for a weeklong FBI investigation. The vote plans to happen this Friday regardless of what they uncover. Liberals specifically don’t want Kavanaugh on the court because they fear that he would be the deciding vote in overturning Roe v. Wade. That’s why liberal pro-choice women are against him. It’s a bit of a reach too because there’s no guarantee that would happen. Kavanaugh’s sexual assault accusers conveniently came out of the blue during his hearings. He was already one of the United States’ most important judges. Why didn’t they come against him then? Then Trump nominated Kavanaugh and suddenly it’s one person after another who came out of the woodwork to tell flagrant falsehoods. He’s never been in trouble. This is just a political attack by the left. They don’t want to see another Trump nominee make it to the Supreme Court. That means that women like Amy Schumer will do anything to keep him off the bench, which includes protesting outside the courthouse in D.C.
Do you think Amy Schumer took this too far?